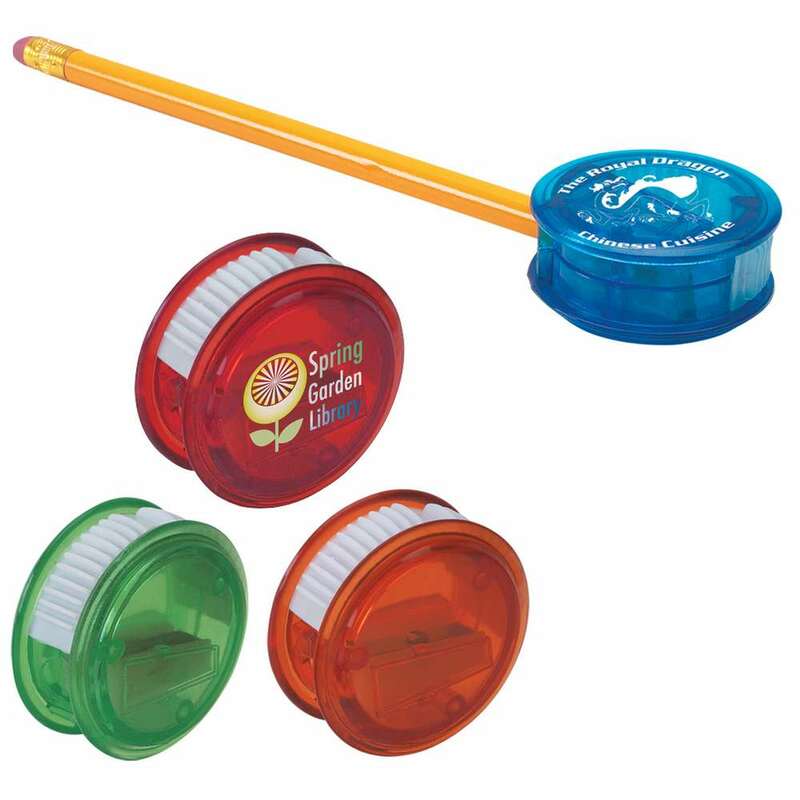 The Plastic Pencil Sharpener is a small giveaway that can economically promote your brand to a large number of new and existing customers in many market segments. It is available in translucent: blue, red, orange, or green colors. The Plastic Pencil Sharpener is a small giveaway that can economically promote your brand to a large number of new and existing customers in many market segments. It is available in translucent: blue, red, orange, or green colors. Use standard silk-screen colors or digibrite process to imprint your brand name and give it away at schools, colleges, trade shows, and shopping malls.